It always feels like Christmas when you open the kiln after a glaze firing, so much anticipation and sparkle from the colors. 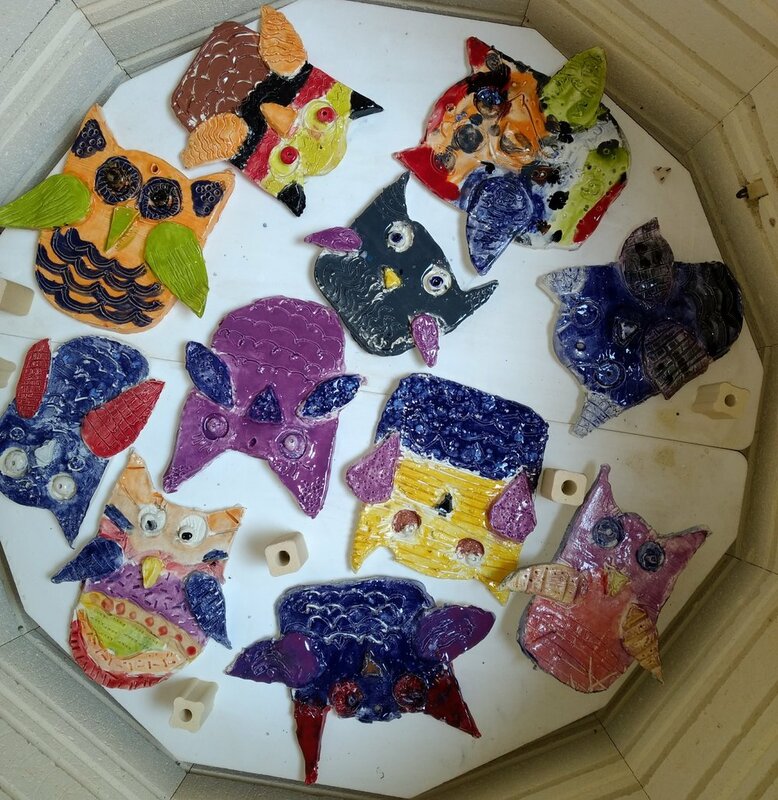 You never know exactly how the pieces will look, if the student added enough glaze coats, or if they added something you didn't quite see them do. Working with clay is very therapeutic as well as something that is rarely taught anymore because of the "mess". Most children and adults like to create in 3D, they just need some help to get their imagination come to reality. I am fortunate to have a large kiln at Mesa Union School to help students create whimsical owls, pinch pot flower bowls, slab dogs, handprints for Kindergarteners, pinch pot sea turtles, and of course I had to make a test coil plaque for my mother for Mother's Day! This summer I will be teaching a clay class with a friend Terry who has also worked with clay for a number of years. We have a variety of projects in mind including the crazy boxes that come out unique to each child. And of course, you need to at least try your hand at coils. These take some time to get even pressure on the clay snake. 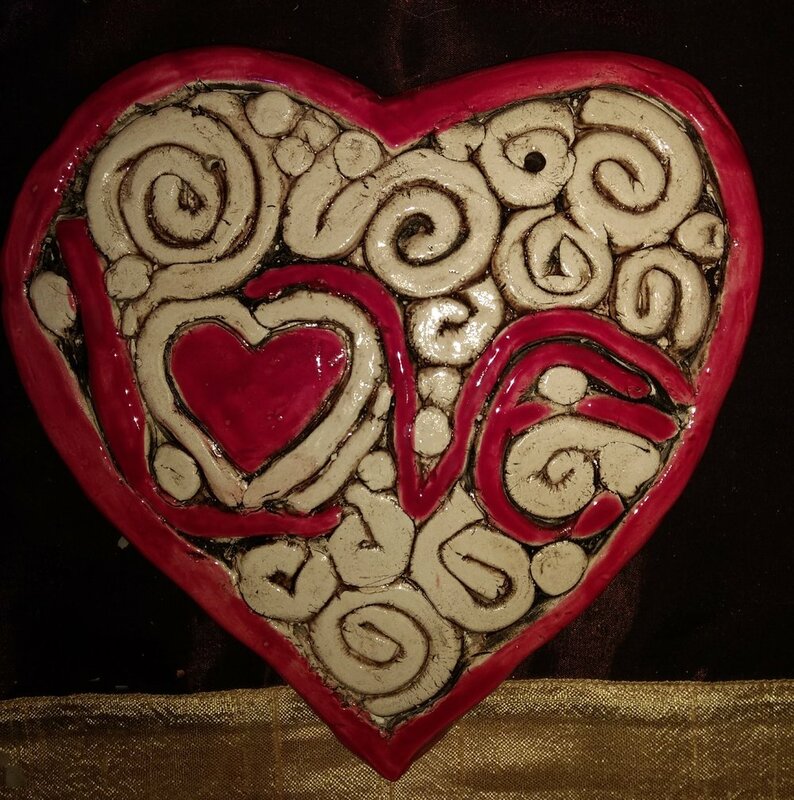 The summer clay class is June 25 - 29th 9:30 am - NOON $185 includes all supplies and you won't have to worry about the mess!